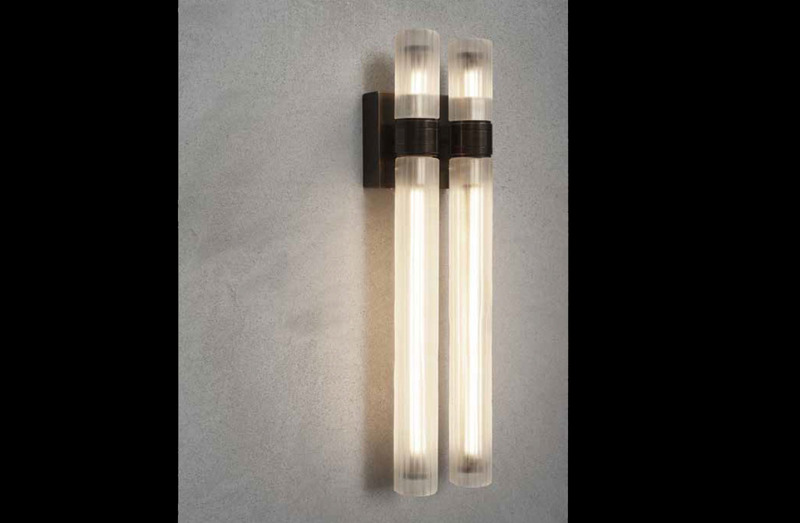 Wall mounted sconce with brass structure in burnished finish, and sandblasted glass diffuser. LED lamping. Please note, two individual sconces are shown side-by-side in main image.